SUV shoppers in Avon, Indianapolis, and Plainfield can get excited because the redesigned Toyota RAV4 is here. In this review, we at Andy Mohr Toyota will give you a taste of what the 2019 Toyota RAV4 has to offer when it comes to performance, off-road readiness, safety, and technology. Read ahead to learn more! 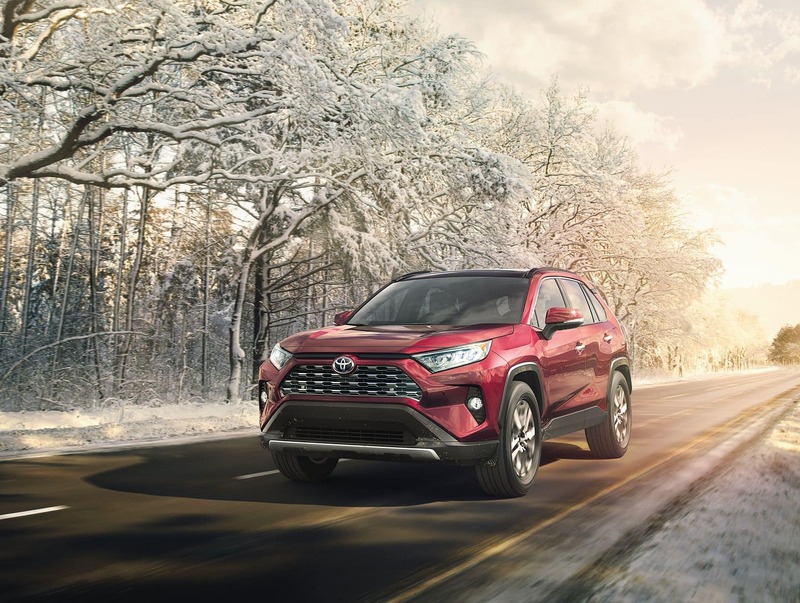 The 2019 Toyota RAV4 offers up two different powertrain options: a Dynamic Force 2.5L inline 4-cylinder engine and a Dynamic Force 2.5L inline 4-cylinder Toyota Hybrid System II engine. These engines, which are enhanced versions of the engines you’ll find in the 2018 RAV4, offer increased power output as well as efficiency. This generation also replaces the 2018 RAV4’s standard 6-speed Electronically Controlled automatic Transmission with intelligence (ECT-i) with an 8-speed Direct-Shift Automatic Transmission. To top out your fuel economy capabilities, opt for the All-New Sporty Hybrid Grade. The XSE Hybrid is one of four hybrid trim levels equipped with the Toyota Hybrid System II (THS II) engine and Electronically-Controlled Continuously Variable Transmission (ECVT). The 2019 Toyota RAV4 is not only powerful and efficient—it’s ready for any adventure you throw at it. Opt for the new RAV4’s available Multi-Terrain Select system, which allows you to customize your drive with selectable drive modes. You can also opt for a Dynamic Torque Vectoring All-Wheel Drive system with Rear Driveline Disconnect. This system smartly monitors the ground below you and channels the perfect amount of power to each wheel for optimal traction. Pre-Collision System with Pedestrian Detection – detects both vehicles and pedestrians, provides a warning, and then automatically applies the brakes to prevent an accident. Full-Speed Range Dynamic Radar Cruise Control – adaptive cruise control functionality up to 110 MPH with automatic speed matching and stopping. Lane Departure Alert with Steering Alert – detects the edge of the road and gives you a warning before automatically steering you to prevent going off the road. Automatic High Beam – automatically turns the high beams on and off for you. NEW Lane Tracing Assist – detects lane markings on the highway to help you stay in your lane. NEW Road Sign Assist – detects road signs and provides warnings so you don’t miss them. On top of these standard systems, you’ll have access to a handful of other available features, including Intelligent Clearance Sonar, a Blind Spot Monitor, and a Bird’s Eye View Camera. 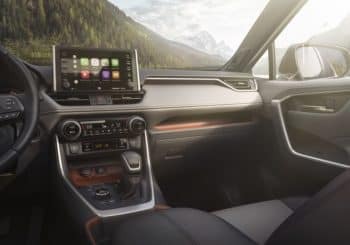 The 2019 Toyota RAV4 comes standardly equipped with an intuitive Entune™ 3.0 infotainment system. This system comes with a 7-inch touchscreen display and a variety of connectability capabilities. You’ll have standard hands-free access to Amazon Alexa, Apple CarPlay™, and even a Wi-Fi® hotspot powered by Verizon. 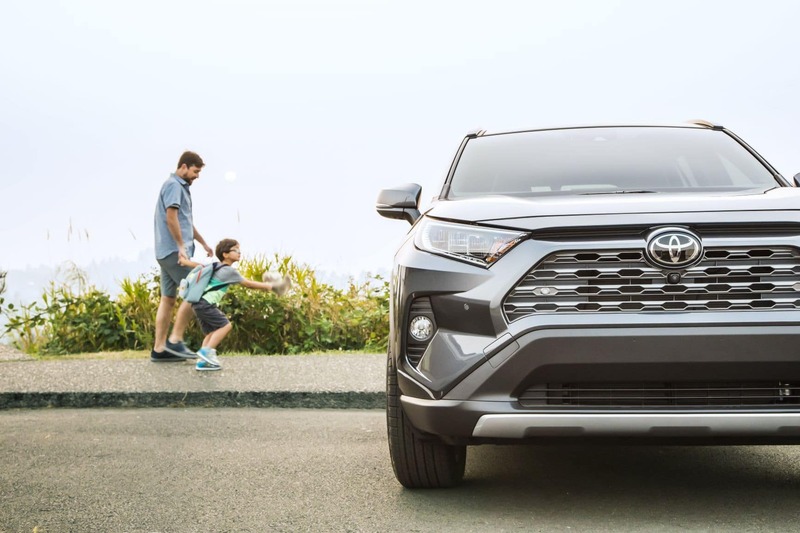 Visit our dealership to test drive the 2019 Toyota RAV4 at Andy Mohr Toyota. Shoppers in Avon, Indianapolis, and Plainfield should give us a call today for more information!